As we pointed out in our Guide to Modern Employee Recognition, many organizations are failing to engage their employees. In fact, 68% of US employees are either not engaged or actively disengaged. What’s the solution? When asked how to improve engagement, 58% of professionals pointed to recognition. 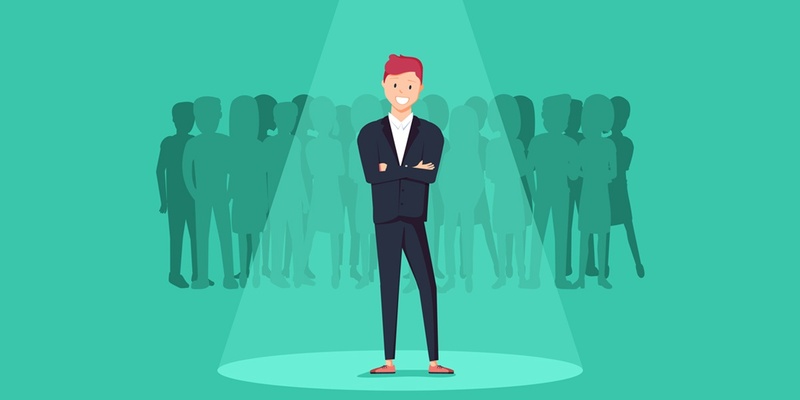 While most organizations try to recognize their employees in some way, poor implementation or shaky strategy can foil well-intentioned attempts at appreciation. Recognition delivery methods must be chosen appropriately to be effective. In this article, I’ll explain the pros and cons of some of the most popular recognition methods and provide specific examples to support your recognition-related goals, including a sample letter of appreciation. If I were to ask you if in-person recognition is important, you would probably reply with a resounding, “Yes, of course.” But what makes it so important? One of the most significant benefits of in-person praise is its face-to-face nature. When thanking others in person, that praise is often more effective and quicker than adding specifics in written form, and it can better convey your true sincerity, according to Kim Scott of Radical Candor. These face-to-face interactions built trust, understanding, and a real sense of a shared mission, and this has made all the difference in the world. In his article on the psychology of verbal communication, Professor Robert M. Krauss tells us that when people have a verbal conversation, meaning is derived from the interaction's context and the collaboration between individuals. In-person communication is especially engaging for all parties involved compared to other methods. The Australian Institute of Business notes that non-verbal cues in face-to-face interactions are just as important as verbal ones, meaning that body language and facial expressions add much more depth and nuance to communication. In his book Silent Messages, Dr. Albert Mehrabian found that 38% of communication is conveyed through vocal elements like tone and 55% through nonverbal elements like posture and facial expressions. When delivered well, nonverbal communication can deepen praise in a uniquely human way, bringing together words and actions of appreciation. I’m guessing that you probably don’t record yourself delivering in-person recognition. While this kind of praise is great, it can be temporary. The recipient can remember and reflect on what was said, but she has nothing tangible to show that the conversation took place. One solution is to include a written form of recognition with in-person praise that can be referenced long after the conversation. Another drawback of in-person recognition is that it requires all involved parties to be in the same location, which can be impractical for those with busy schedules or when individuals work in different areas. Email recognition can be a simple and flexible method of recognition. A research paper produced by the Institute for Employment Studies on the effects of non-financial recognition observed that effective recognition “becomes more formal and public commensurate with perceived value of the action.” Email is less formal than a recognition letter but more formal than a quick “thank you” in the hallway. It's an adaptable medium that can include as many or as few people as needed. Email feedback should be specific, timely, clear, and concise. I personally love emails that close out a project or issue with positive feedback. You include everyone involved and give special thanks to those who moved the project forward while including stakeholders. Handwritten notes have unique qualities that set them apart from electronic communication. They can’t be buried in inboxes, and they convey a special level of sentiment. Writing thank-you notes can not only show appreciation but make you a happier individual. As someone who has kept every thank you card I’ve ever received from coworkers and candidates, I can tell you that each note makes a difference. I’ve even completely turned a dicey relationship with a coworker around with a handwritten thank you card. I think people underestimate the message that a handwritten note can send on multiple levels. It says that I have taken the time out of my busy schedule to think about what to write to you and actually write it down. I encourage my clients to take this extra time because it’s much more significant than an email or quick comment in a meeting. I think this is especially relevant for employees who have grown up with digital media at their fingertips, with instant gratification and immediate access to information. For managers with large distributed teams, this method of recognition would be a daunting undertaking. Handwritten notes are almost universally appreciated but can’t be sent or created as easily as electronic communication. Sharing public recognition through another channel along with handwritten notes can be a useful strategy to amplify appreciation. Additionally, handwritten notes can work well for small projects but may be too informal for other occasions. Letters of appreciation show care and consideration when written successfully. They take time to write and require the writer to stop and think carefully about the content. For many employees, this kind of formal and specific recognition is fitting. Written letters of appreciation, like notes, also give employees something tangible to keep. When individuals go above and beyond in a big way, letters of appreciation are a great way to include details on quantifiable results. These letters are also a great format to share what accomplishments mean to you, the organization, and its stakeholders in detail. While a handwritten note might include a few sentences of praise on warm stationary, formal letters of appreciation are longer, more detailed, and more ceremonial. I would like to thank you for the significant contributions you have made to our organization over the past quarter. In only three months, your efforts helped decrease our total costs by 20%. This has allowed us to hire two new sales reps, who should significantly increase revenue for us next quarter. The additions to the sales team will greatly support the Sales Director and allow her to focus on the overall strategy of her department. Without your diligent efforts this would not have been possible. Beyond this accomplishment, I want you to know that we have all seen you go the extra mile and take initiative to identify new opportunities for the company to operate more efficiently. You also continually provide guidance to less senior team members, and you make timely deliverables for other departments a priority. The example you set through dedication and teamwork reinforces and improves upon our existing culture. You are a true asset to this organization, and I look forward to watching you continue to excel. In my experience, very few companies go the route of issuing formal recognition letters. Unfortunately, the reasons that make them effective tools also make them impractical. Leaders tend to be focused on other operationally critical initiatives and often feel like they do not have the time or resources to write these letters. For some organizations, formal letters of appreciation can be countercultural, overly formal, or bureaucratic. If mass-produced, delivered inconsistently, or written impersonally, they can actually make people feel worse. Since these letters aren’t well-suited for public sharing, pairing formal letters of appreciation with another more public method can be helpful. In recent years, I’ve seen tools like Slack become extremely popular across all sizes and stages of companies. Collaborations platforms are easy to use and often include integrations with other platforms. Employees use them to quickly express emotion through text and other media like emoji, video, and GIFs. This method of employee recognition allows an instant, public “Congrats!” that can include digital confetti or three e-thumbs up. According to TalentCulture CEO Meghan Biro, effective praise must happen in the moment. It must occur when the desired behavior occurs or desired outcome is reached. Collaboration platforms provide the most timely form of communication in most instances—these messages are delivered right away and are usually opened before emails or other electronic communication. We have a Slack channel where anyone can praise anyone, with visibility to the whole business. It can be top-down, peer-to-peer, or customer led. The key point is that it’s public and in the moment. Then, every Friday on our TGIF call, we run through them and add any extras that didn’t make the channel for any reason. We actively encourage participation in it. For a remote team, we find it’s a really nice way to share and recognize those little things that otherwise go unnoticed. 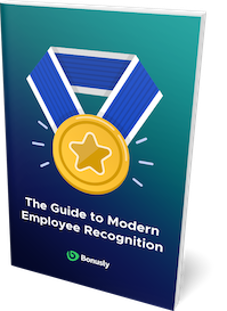 For those who want to supercharge their appreciation efforts, consider recognition platforms like Bonusly that allow everyone in an organization to publicly recognize each other through small bonuses that add up to meaningful rewards. With these tools, recognition is even more impactful since praise is connected to organizations' core values and real-world rewards. With Bonusly, everyone can share recognition using fun messages with points that can be redeemed at more than 150 partners including Amazon, PayPal, and the American Red Cross. It also makes evaluating recognition trends in your organization easy by allowing users to learn where team members excel with the help of detailed analytics and reporting. Bonusly integrates with collaboration tools platforms like Slack, Hangouts Chat, Microsoft Teams, and others. In 2018, 75% of Bonusly customers integrated the platform with their chat tools. Sometimes the instant nature of collaboration platforms means that messages aren’t crafted as thoughtfully as possible. I have seen a company leader very casually announce someone’s promotion in a channel intended for general business. The message seemed like a quick afterthought before he forgot to mention it. For some kinds of praise, collaboration platforms may be too informal. Team meetings may be more appropriate settings for announcing important events like promotions or service awards. Communicating recognition should be done with care. It's a key driver of employee engagement and helps employees find purpose at work. In many cases, combining different methods of recognition can increase the impact of recognition.